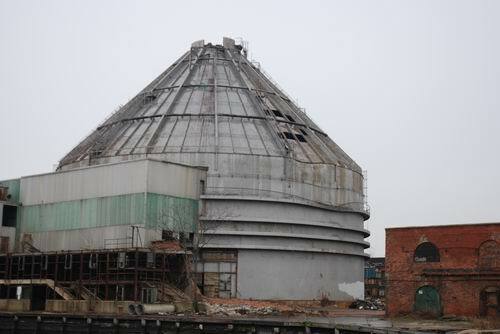 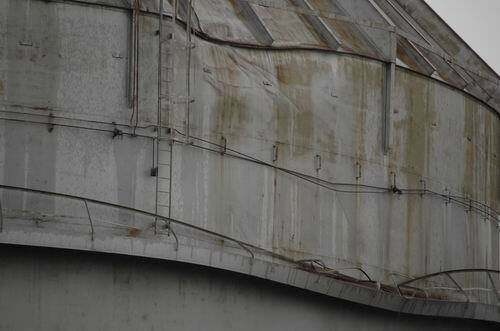 Red Hook's old Revere Sugar Refinery does not have long to live. 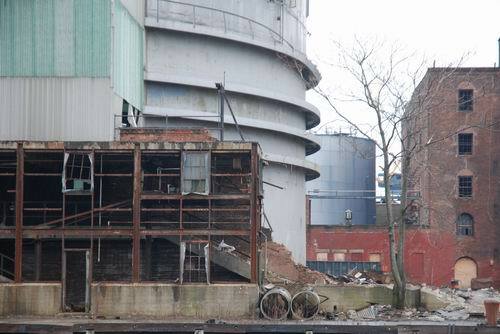 While the demolition work appears to have slowed on the front part of the structure, Thor Equities, Joe Sitt and Breeze Demolition have been busy tearing the Red Hook icon down from behind. 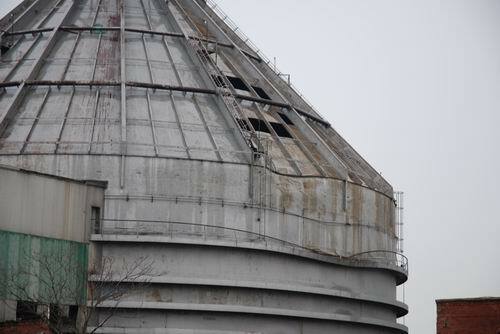 There is now a gigantic dent in the dome, most likely where a tower fell into it during demolition, and external structures are being demolished.